The landings of Pacific razor clams have been historically variable due to high exploitation rates and disease. Recently, landings have been increasing. Pacific razor clams are resilient to fishing pressure since they mature quickly. Although overfishing is not thought to be occurring in Oregon and Washington, stock status is unknown. In Quinault, stock status is moderately healthy. Stock assessments are not conducted in Washington and Oregon; however they are conducted in the Quinault Indian Nation. Management is moderately effective in Washington and Oregon, and it is highly effective in Quinault, due to the strict regulations and enforcement. The hand harvest of Pacific razor clams consists of using shovels or hand tubes. This method can be damaging to the habitat if wave action is not sufficient to redistribute the sediment after harvest. However, minimal amounts of bycatch are caught as hand harvesting is a highly selective fishing method. Landings of the ocean quahog stock have been variable in the past. Several factors affecting the landings include shifts in the species range, fishery closures due to disease, changes in consumer demand, and increasing fuel prices. Ocean quahogs are among the slowest growing and most long-lived clam species. These life history characteristics make them particularly vulnerable to fishing pressure. Currently, the population is healthy and is not overfished. 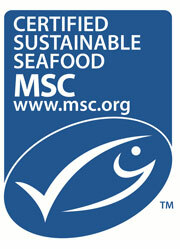 The stock is well-managed by the Mid-Atlantic Fisheries Management Council. Stock assessments are performed regularly, and regulations are set based on scientific advice. Hydraulic clam dredges are highly selective with little bycatch, but are disturbing to the habitat. They cause the suspension of sediment in the water which increases turbidity, create a trench where the dredge has passed through, change the density and composition of the substrate, reduce the organism diversity in the substrate, and temporarily leave dislodged organisms vulnerable to predation. Geoduck aquaculture is an expanding aquaculture industry. Washington produced almost 673mt in 2013 worth almost $28 million, and British Columbia had $2.4 million in sales from farmed geoduck in 2014. Much data and scientific information is available on geoduck production and aquaculture, although more research exploring environmental impacts would be beneficial. There is some concern regarding the cumulative effect of the input of plastic debris and microplastics to the environment from the geoduck farming operations, as well as the long-term impact of the farms. Chemicals such as pesticides, herbicides and antibiotics are not used in geoduck aquaculture, and disease is a rare occurrence on the farms. No external feed is required as geoducks are filter feeders and graze on naturally-occurring phytoplankton for food. This means that geoduck aquaculture does not place stress on wild fish populations for a source of feed. Farmed geoducks can interact with the wild population and there is some concern that genetic differences could negatively affect the wild population. Fortunately, farmed geoduck do not deplete wild geoduck populations for a source of stock, as a single geoduck can produce tens of millions of gametes a year, and can spawn multiple times a year. Therefore only a few individuals are needed to supply the farming operation. Pacific geoduck clams (Panopea generosa) are the world’s largest species of burrowing clam and are found along the Pacific Coast of North America from Alaska to California. The two wild-caught fisheries for geoduck are primarily in Washington State and British Columbia. The market for geoduck has primarily been based in Asia, but rise in popularity of sushi in North America has spurred a rise in domestic demand. Geoduck are harvested with hand-held water jets (stingers), which liquefy the sand directly around the geoduck into a kind of quicksand for a few minutes, during which time the harvesters are able to easily retrieve the clam. These fisheries are not overfished nor are they experiencing overfishing. There is some moderate uncertainty around the data availability for the stock status in BC, whereas the Washington stocks are considered to be healthy. Due to the targeted nature of the harvest, there is no bycatch associated with this fishery. Clams species produced in aquaculture farms globally totalled almost 5.4 million mt in 2015, valued at over USD 5 billion. Farmed clam production in the US accounts for over 50% of demand and was approximately 27,500 mt in 2014, with exports of 2,700 mt and an additional 23,100 mt imported, primarily from China. 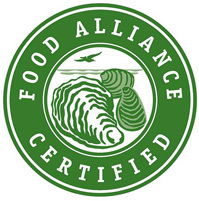 Farmed clams are a sustainable choice as no feeds, fertilizers or chemicals are used, and impacts of effluent and habitat impacts are very low. There is some risk of ecological impacts when clams are farmed outside their native range; however, in these situations they have typically been ecologically established for several decades and there is little evidence to support negative effects of escaped clams on wild populations. The majority of Atlantic surfclams are caught in New Jersey. Landings peaked in the early 1970’s before quickly reaching a historic low in 1979. Recent landings have been decreasing due to a more northwards expansion of the species range, and the fishery is becoming less profitable. Atlantic surfclams are moderately resilient to fishing pressure, as they reach maturity quickly, and have a moderately long lifespan. The population status is currently moderately healthy because although biomass is above target and fishing pressure is sustainable, a few local populations have been depleted. 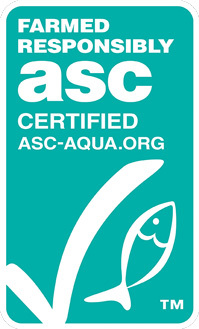 The stock is well-managed by the Mid-Atlantic Fisheries Management Council. Stock assessments are performed regularly, and regulations are set based on scientific advice. Hydraulic clam dredges are highly selective with little bycatch occurring. Hydraulic clam dredges are highly disturbing to the habitat. They cause the suspension of sediment in the water which increases turbidity, create a trench where the dredge has passed through, change the density and composition of the substrate, reduce the organism diversity in the substrate, and temporarily leave dislodged organisms vulnerable to predation. 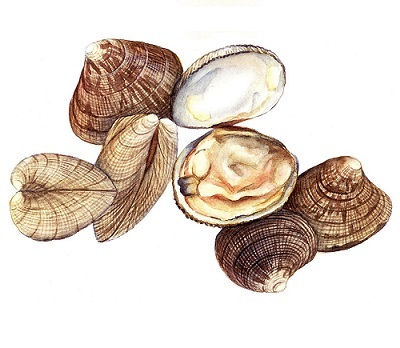 Hard clams (also called northern quahogs) are fished commercially in the Southern Gulf of St Lawrence. Although abundance is unknown, management regulates the fishery via minimum size limits and fishing seasons. Clams do not have life history characteristics that make them vulnerable to fishing pressure. Rakes are used to manually harvest the clams. The use of rakes causes minimal bycatch and low levels of habitat damage. Hard clams represent a valuable fishery. Landings have been decreasing since the 1950’s and experienced an accelerated decline in the 2000’s. 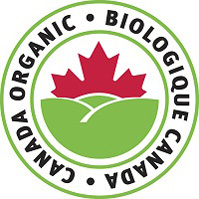 Factors such as fishing restrictions, reduced prices, and depletions due to the recreational fishery are thought to be responsible for this decline. No stock assessments are performed for hard clams so the stuck status and fishing mortality is unknown. More scientific data is needed for a more thorough understanding of the population, but existing management has been effective. Size limits, gear restrictions, and protected spawning areas are among the measures taken to protect the stock. The hand harvest of clams consists of either using a hand rake, hoe, or shovel. This method can be damaging to the habitat if wave action is not sufficient to redistribute the sediment after harvest. However, minimal amounts of bycatch are caught as hand harvesting is a highly selective fishing method. Hand harvest methods are associated with minimal amounts of bycatch as the gear is highly selective. In the event that non-target species are caught, they can be released unharmed and live. Softshell clams are fished commercially in the Gulf, Maritimes, and Quebec regions. Although abundance is unknown, management regulates the fishery via minimum size limits and fishing seasons. Clams do not have life history characteristics that make them vulnerable to fishing pressure. Rakes are used to manually harvest the clams. The use of rakes causes minimal bycatch and low levels of habitat damage. The majority of the commercial Pacific razor clam fishery in BC occurs on Haida Gwaii North Beach. Pacific razor clam populations in British Columbia are healthy and fishing levels are sustainable. In Alaska, the fishing mortality is unknown. The populations are well-managed. In BC, the maximum fishing level is set at 22% of the available clam abundance. The average catch is 245,150lbs per year. In Alaska, the maximum annual catch is set at 350,000-400,000lbs.Pacific razor clams are hand-harvested during low tide. Any bycatch can be returned alive to the habitat, and the hand harvest causes little to no damage to the beach habitat. Pacific razor clams are primarily used as bait in crab fisheries, but recently there has been an increasing interest in the clams as a food product.